[UPDATE - 1st February 2019]: Good lord it's the ninth series of this. You'd have thought they'd have run out of towns by now, but evidently not. Although saying that, having listened to the first three episodes, it would appear that the fourth is set in Malta, so perhaps they're running out of the UK. Thus far though, we've got Hastings, King's Lynn and Carlisle. Once again, it's a dig through local knowledge, with a distinct taste for each of the different towns. Hastings has a seedy underworld, with the populace forced into immorality by pier pressure. King's Lynn mostly has old buildings and Sandringham. Carlisle is just all biscuits. Half the appeal of these are the obscure attractions dug up, which you'd likely not be aware of if you hadn't lived there for a couple of years. Examples include a cursing stone, which they don't dare move in case things get even worse, and a corpse chair, moved around to various ill people so they can, well, die in it. No, I don't know why. And the frankly disturbing discovery that Steel has a WAM fetish about diving into the tubs of custard cream filling at the biscuit factory. The other half are the audience, who are constantly heckling, and tend to correct half of his stand-up. Interesting to see the occasional Brexit reference pop in, and the very occasional dissenting voice in the audiences which generally cheer the concept of a customs union. My earlier comment below appears to still be fair, with Hastings and Carlisle being considerably better sources of entertainment than King's Lynn. I'm vaguely tempted to go back and do a re-listen to see if I can work out which is the funniest town in the country. Regardless, it's still an enjoyable half hour, and one I'll always listen to. 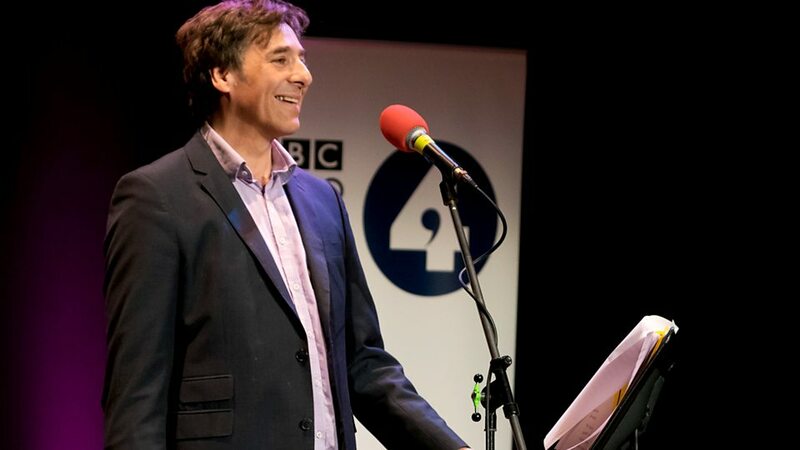 [ORIGINAL - 8th December 2017]: The format of Mark Steel's in Town means that he can probably keep making this series until he dies. There are enough towns in the country that there's a fair few more series in it. Which makes it impressive that he can come up with a new comedy set for each location, running to about six a year, more or less. This is helped by the fact that the format allows him to talk about a wide range of topics that are more or less created for him by the history of each location. You inevitably find out some interesting snippet you would never have discovered otherwise. However, this does introduce the possibility that some places aren't quite as good as sources for comedy as others. Such as Bedford. This week's show did tend to fall into repetition quite heavily, with four or five recalls to such gags as the incompleteness of the Bedford Bridge, the large Italian population and the perhaps excessive number of public schools. Also the fact that nobody apparently knows quite where Bedford is. Seems easy to me. It's on the way to Ikea in Milton Keynes. The format is always a crowd pleaser though, with a local audience happy to go along with an exploration of their particular history. The audience participation can often be funnier than Steel's observations, having as they do a deeper knowledge of the quirks of the town which allows them to chip in with some particular fact that the locals will enjoy. It's not a terribly challenging programme, being a little cosy, but that doesn't make it something I won't listen to. The slightly shallow nature doesn't prevent me from enjoying the new information, and Steel always gives a solid presentation with his usual theatrical flair. Given it's on its eighth series, odds are good that you've listened to it previously. But if you haven't, it is probably worth a listen as it's a varied show, due to the format, and I have hopes for more hilarity later.